If a retailer avoids the ten most common mistakes when selecting a point of sale system, they can avoid duplicating their efforts and control these costs. Avoiding these ten mistakes will help insure that the right system is selected the first time. If a retailer isn’t automated or is operating an out-of-date point of sale system, they may have developed inefficient procedures. Every process in the business (e.g. purchasing, receiving, transfers, etc.) should be noted and worked through in the point of sale software during the demonstration phase. The provider of the software can then demonstrate the automation of each process within the proposed solution. The provider should also have extensive industry knowledge and be able to make recommendations on how related retailers have automated similar processes. Do not move forward with a purchase until you have obtained a minimum of three references and contacted those references. Requesting local references also gives you the ability to visit the retail store and see the point of sale product in action. When talking with references also make sure that they are using the version of the software you are evaluating. Ask them if they like the product, how the implementation went, and how they rate the on-going support. These references can also be used to create your own support group if you move forward with the purchase. You want to insure that the company will be around as long as you have their POS system. Most businesses fail within the first five years. – How large is the company measured by employee count and revenue? A financially strong company will have sufficient revenue and resources to support you for the life of the POS system. Larger companies with more employees often offer superior support services, training, installation, and faster feature development. – How strong is the company and is it publicly traded? Public companies offer the safety of full disclosure and access to the capital markets. Audited financial statements will provide you with information regarding the company’s strength. Records for public companies can be obtained through any financial website such as Yahoo Finance, eTrade, Fidelity and so on. Software development and support is labor and capital intensive. By choosing a strong company, you are insuring that the software you choose will be updated with new features for many years. – Installation – 1-5 days depending upon the size of the store and number of employees. This training normally takes place at the store location. Point of sale training for employees normally only requires an hour or two. Back office management functions such as purchasing, receiving, barcodes, inventory management, reporting, ecommerce, etc. will take up the remaining time. Make sure you don’t overwhelm yourself at this point with too much information. Learn what you need to run your business day to day. More training should be available in the future. – 1 Month Post-Installation – The retailer has had some time with the POS system and will need to generate month end reports. This is also a good time to train on questions that have come up since the initial training. Post-Installation training is often accomplished through a phone call and remote access to the retailers system. – 3-6 Month Post-Installation – The retailer knows their way around the POS software, has established procedures, and the retail store is fully automated. At this time the retailer may want to learn the advanced features of the software to give them a strategic advantage. This could include advanced reporting, open-to-buy planning, eCommerce integration, customer marketing and so on. We are bombarded everyday with offers for low priced hardware and POS software. Advertisements from major computer manufacturers display unbelievable prices. Resist the temptation of trying to save yourself a few dollars with cheap hardware. It will end up costing you more when it doesn’t work. The low priced computers and printers advertised are cheap for a reason. They are consumer level products that aren’t manufactured to take the daily twelve hour beating most retail environments will impose on them. You can verify this by checking the duty cycles on consumer level hardware versus business class machines. Low priced hardware is difficult for anyone to support because the internal components of the computer changes on a frequent basis. What is inside a cheap computer is based upon the lowest bidder at the time of bid. As an example, you may order a model M30 computer today and your point of sale software and peripherals run fine on it. You then order ten of the model M30 and find that the software only runs on some of them. The others have different components inside that conflict with the software. You’ve just saved yourself a few dollars on hardware but now get to pay an unlimited hourly rate for the point-of-sale company to figure out the problem. Point-of-sale companies know what they know, but they don’t know what they don’t know. With cheap hardware, they can never possibly know so you will only cost yourself more money in the long run by not following their recommendation. There is not a single point-of-sale system that is a perfect fit for every type of retailer. The retail industry has several different vertical markets that all have unique needs. As an example, pharmacies require a pos system that integrates with their prescription dispensing software and support IRS IIAS legislation for FSA (flexible spending account) credit cards. A bike shop requires serial number tracking and work order management for mechanics. A clothing store needs size and color matrixes to support the large number of SKUs for a single pair of jeans. The list goes on and on. Find a point-of-sale system specific to your market. The unique features they offer will automate the distinct needs of your market. The industry specific automation will provide you with a better ROI (return on investment) compared with choosing generic point-of-sale software. Point-of-sale systems for independent retailers have been around for almost three decades now. The feature lists are extensive because millions of retailers have helped software developers create features specific to the industry. 95% or more of the features you will require will be offered in a single package. If not, avoid the temptation to customize the software. Customizing any software freezes you into the version you purchase and precludes you from moving forward with future releases. There are still many stores today that operate DOS based point-of-sale systems because of this oversight. Don’t be one of them. A great point-of-sale system can be turned into a mediocre system if data input and standards aren’t maintained. Today’s software has the capability to turn raw data into meaningful information. The best example of this is the department/class/subclass structure. Every retail store has departments, larger ones also have related classes, and even larger ones have related subclasses. Categorizing your inventory this way allows you to quickly spot sales and inventory trends on the reports produced by the system. Use the 10/10 rule. You should have no more than 10 departments and each of those departments should have no more than 10 classes. If you think about it, even the largest department stores merchandise within the rule. The most neglected rule of all. But when it happens, people tend to become diligent about it. With the technology today, there is no reason to ignore this any longer. Backing up a system no longer requires slow tape drives, archaic software, and confusing rotation procedures. Today, backups can be performed with the use of portable hard drives or internet based online backup services. Most retailers think of disaster recovery only in the case of a computer crash. But over the years I’ve seen retailers rely on them for fires, floods, and computer theft. As long as you have a good backup and insurance policy, a disaster does not have to be catastrophic. – Is point-of-sale the company’s primary business? When software companies choose to expand their target market, they will often times view the retail space very favorably due to the large number of retailers. Many times they underestimate the complexity of the market and the vertical requirements of each retail segment. This will cause them to enter the market with an offering and leave once they suffer unsustainable losses. Accounting software companies have been notorious for this behavior throughout the years. To protect yourself, make sure the focus of the company is primarily point-of-sale systems. – Is the provider THE company or just a reseller of a product? Several of the prominent point-of-sale companies use a direct sales channel. Smaller point-of-sale companies use a reseller or distributor model to sell their systems. The difference is staggering. The direct channel establishes a relationship between the retailer and the software vendor. Better support, quality, and expertise are the result. Resellers of a product cannot begin to match support or quality a direct relationship provides. It is far too common for retailers to be left without support once a reseller moves on to other products. – What type on on-going support do they provide? Support departments for POS systems are very different than consumer software products. Point of sale applications are mission critical. If a POS system is down, it literally costs the retailer money. Insist that the point-of-sale provider you select offers a “real time” support model. Real time support insures that a technician will pick up the phone and assist you when you call. Older support models implement a “call back” method that requires you to leave a message of the problem and a technician calls you back at an undetermined length of time. The difference between the two support models can literally cost a retailer thousands of dollars in lost sales. – Do they offer onsite technical assistance? Your job is retail, not technology. You should be able to rely upon your point-of-sale provider to supply you with onsite technicians. These technicians can install a new system correctly and troubleshoot any technical problems you may experience. – Do they offer training classes? Training, training, training, we all know we get better with more of it. You can insure you get the most out of your investment with on-going training. The provider you select should offer classes to help you gain efficiencies as your expertise on the point-of-sale system grows. – Do they have user groups and regular meetings? User group meetings are one of the best places to learn new ideas, see the newest features in the software, and network with your peers. Many times a peer will have a solution or offer a new way to accomplish a task using the software. 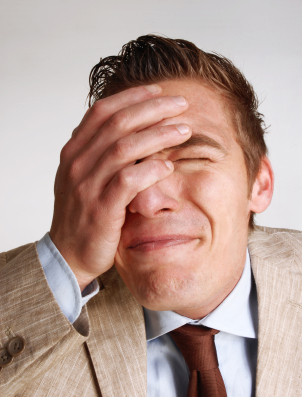 An independent retailer can insure their success by avoiding these ten common mistakes. Although this article is written with a point-of-sale purchase in mind, the same checklist can be applied to many other business purchases. Often times, the strength and ethics of the company providing the product is just as important as the product itself. Measured by dollars, the technology investment made by an independent retailer is considerably less than their larger counterparts. But if you measure the investment against annual revenues (i.e. percent of revenue), the comparison becomes similar. Once understood, independent retailers should approach their technology investment like the large retail chains. Unlike other purchases a retailer will make, the technology decision is one the retailer will live with for many years. The amount of time required to implement a system and become productive in its use will be the largest costs associated with any system. Economists refer to these types of costs as “sunk costs”. Sunk costs are those costs that are incurred and cannot be recovered to any significant degree. Independent retailers have traditionally been technology laggards. This slow adoption of new technology has provided hidden benefits though. Economies of scale are achieved at larger retail stores and the new technologies become available to independent retailers at much lower costs. CAM Commerce is a leading provider of point of sale, ecommerce, and omni-channel solutions. Please visit http://www.camcommerce.com/ for more information. Point of sale success stories – how others have done it.